Limited time offer for Apartment Cleaning in Chicago -- 30% off your first booking! Handy helps deliver the very best in apartment cleaning services in Chicago. Since 2012, our pros have carried out millions of professional and affordable home cleaning jobs across the country. Handy connects its customers with flexible apartment cleaning services that are not only cheap, but top quality. So wherever you happen to be living in Chicago, we're confident that by the time your cleaner leaves, your apartment will have a clean sparkle to it. Let us connect you with the best apartment cleaning services in Chicago while you go off and do your own thing. Why use Handy for apartment cleaning services in Chicago? Handy is affordable – just ask around and you'll soon discover that apartment cleaning services booked through Handy are among the cheapest available in the Chicago area. Handy is flexible – customers make and manage their bookings using either the Handy website or the convenient Handy app, which allows you to reschedule bookings without charge -- just give us 24 hours’ notice. Background checked pros – personal security is always a major concern, so it’s good to know that professional cleaners using the Handy platform are all vetted and background checked before they walk through your front door. Who can use Handy to find the best Chicago apartment cleaning? Handy is here for any and all Chicago residents who need reliable and cheap apartment cleaning services, whether at short notice or in the longer term. Our flexibility and convenience are well suited to the modern age where everything has to be done in a hurry and lifestyles are an eternal juggling of work and leisure commitments. 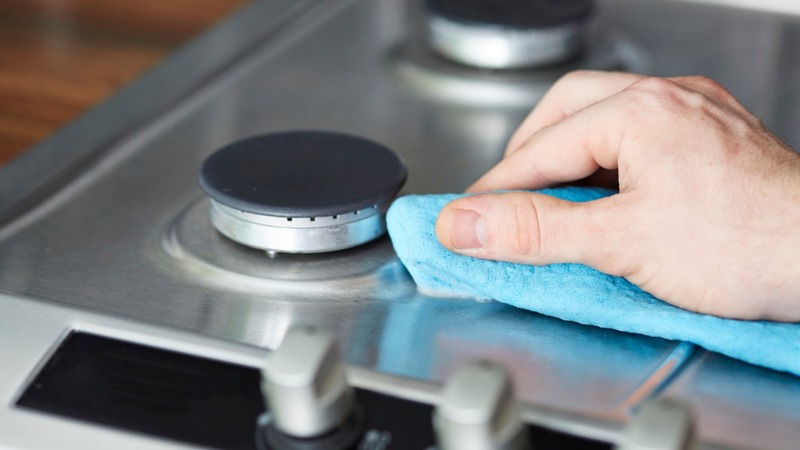 Do yourselves a favor and free up some of that valuable time, leaving Handy to connect you with the best apartment cleaning in Chicago. Cheap apartment cleaning services booked through Handy ensure that your home keeps its freshness and sparkle and is a personal space to enjoy and be proud of when your friends and family visit. If you’re hosting a party on short notice, we can arrange a pro to be there first thing to get the place ready for your guests. Organize everything through our app or here on our website and choose the best apartment cleaning services in Chicago to fit around your schedule and arrangements. Chicago is one of the most exciting and stimulating cities in America, as its proud residents are well aware. In addition to boasting more famous attractions than arguably any other city in the Midwest, it is also a booming economic center. With cheap Chicago apartment cleaning services readily available from Handy, that’s one less headache to deal with. While you’re enjoying an afternoon jog in Millennium Park, Handy will be arranging the best Chicago apartment cleaning available to your home. No matter where in the city you live, Handy has your Chicago apartment cleaning service needs covered. Maybe you’d love to catch the upcoming Bears game but can’t free up the time because the apartment is sorely in need of a makeover? Feel free to head to the bar with the guys, leaving your professional apartment cleaner to deliver the cheap Chicago apartment cleaning you need. Or maybe you keep promising the kids a visit to Lincoln Park Zoo but can never manage to free up the time? Let Handy take up the slack with a dedicated apartment cleaning Chicago service while you have some fun. Cleaning is never close to the top of anyone's list of priorities, and by allowing Handy to arrange the best Chicago apartment cleaning service, you’ll be doing yourself and your family a favor.